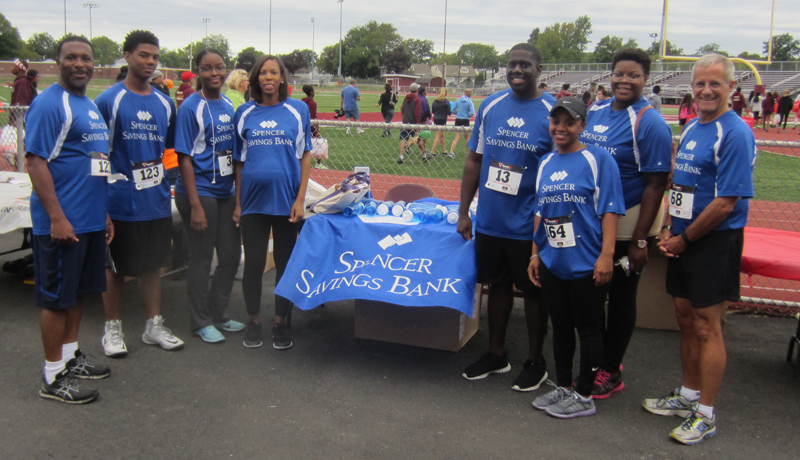 Spencer Savings Bank was one of the sponsors and participants in the Union Mayor’s Day 5K Race held at Union High School on September 20th. A portion of the proceeds go to a local Union Township organization or family in need. This year’s proceeds benefitted a local 3 yr. old who was diagnosed with several neurological conditions and whose care is quite costly. Spencer was on hand to show its support!